With its 120-block street grid, there is so much to explore on foot in Midtown Atlanta. 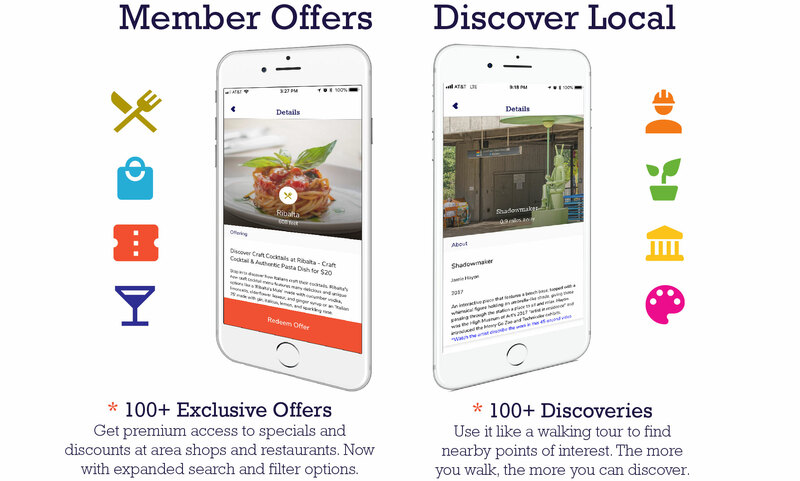 And now Midtown Alliance members and guests can discover more of their surroundings with the IN*MidtownATL app. Since its initial launch, more than 5,000 users from Midtown Alliance member organizations have registered in the original version of Midtown Alliance's custom-designed IN*MidtownATL app, giving them access to 100+ special Offers and discounts that support local businesses. Now, the introduction of a brand new feature brings 130+ opportunities to learn about local public art, historic landmarks, and future buildings, plus much more - all powered by the latest enhancements to the IN*MidtownATL app. Learn more about the app on our News Center. Merchants: Interested in featuring your Midtown business on the app? Learn more.